Many surnames are in our family history. Before the people could write, they used signs. A "Haus marke" stayed with the house where the people were living. 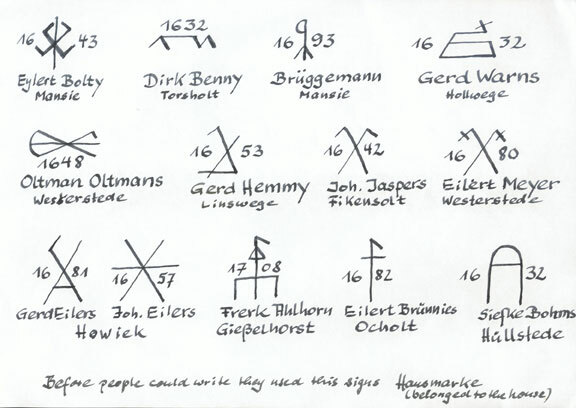 The names below are examples of what these signs looked like in the villages of Germany.